The term palpitations refers to an abnormal awareness of your heartbeat. Some people describe palpitations as a feeling that your heart is pounding or fluttering, or you may feel like your heart has missed a beat or added a beat. Normally, having palpitations does not mean there is anything seriously wrong with you, but you should make an appointment with your GP if you are worried. If you have palpitations and a blackout, you should seek urgent medical attention. Often palpitations are caused by problems not related to your heart, for example, anxiety, stress, pregnancy, medications, too much caffeine, or thyroid problems. 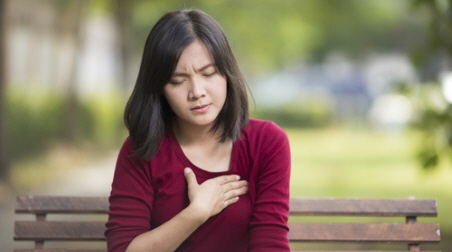 Sometimes, palpitations are caused by a heart disorder, such as atrial fibrillation or another heart rhythm problem. On the next pages you can find out more about ectopic beats and SVT. If you have been diagnosed with another heart rhythm problem, you can find more information on The Heart Foundation website. Information on arrhythmias (abnormal heart rhythms) from Patient.info, a trusted medical website in the UK.